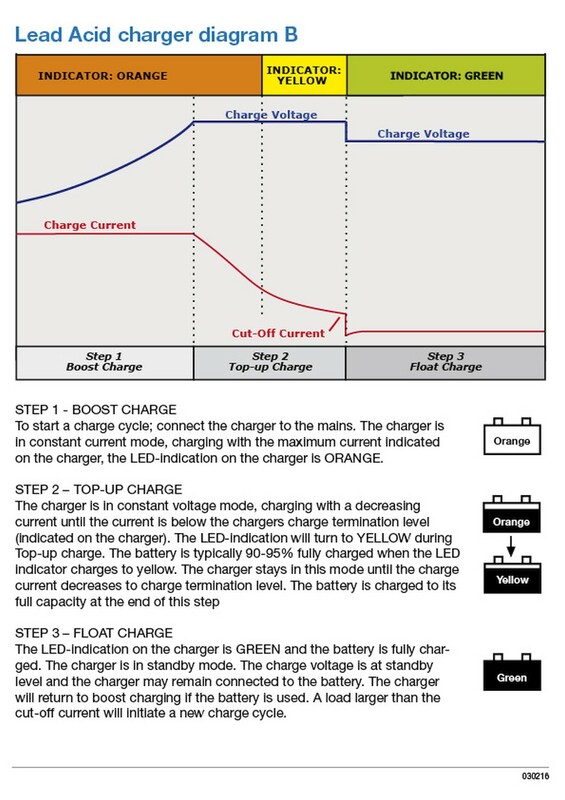 The Aviogard will only work in the float charge stage, thus a real charger must be used to get the battery to that stage. 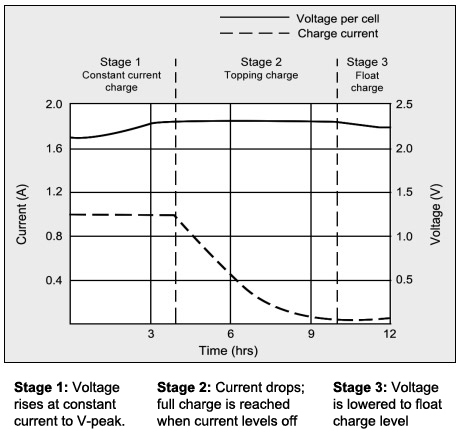 The reason is mainly the boost stage where the current must be limited by the charger. The only way to do this is by lowering the voltage. The UQQ cannot do this without entering a "hiccup mode", because it tries to keep the voltage constant at all times. 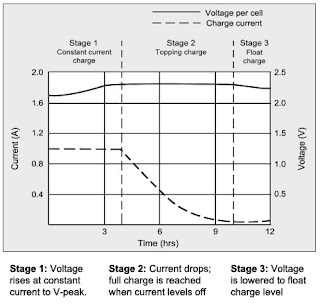 When a battery with "low" charge is connected (actually anything less than max charge), it will try to supply the current to get up to 13.8V. The current needed to do that will easily be 12A or more for my 6 AH backup battery. 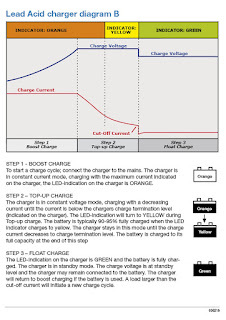 At the boost charge stage a real charger automatically restricts the current. 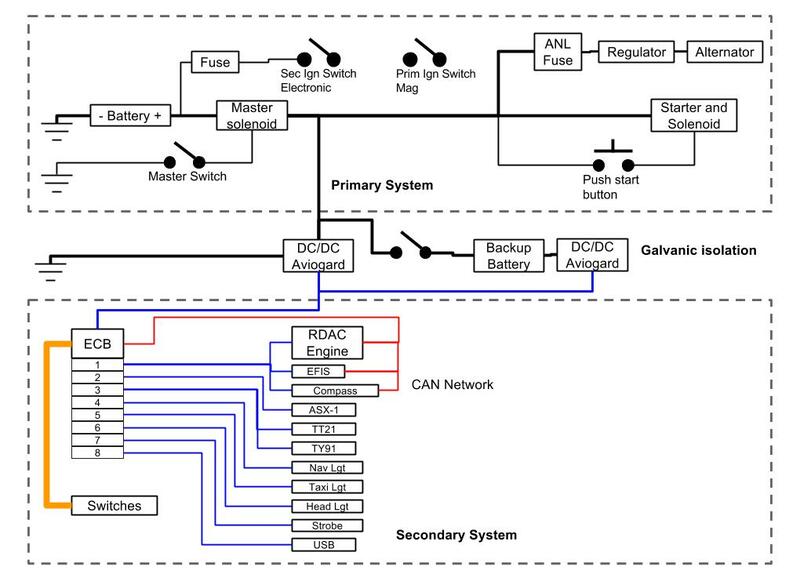 According to Battery University it should be max 30% of the total capacity of the battery, but could be lower. For my 6 AH backup battery, this means max 1.8A. 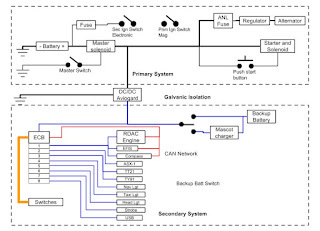 The only way for the Aviogard to work with a backup battery in a "plug'n play" configuration, is to have a separate circuit for the battery that limits the current to the battery by limiting the voltage. The Aviogard doesn't have a separate line for the battery, the UQQ is 1 in, 1 out. Mascot do indeed have a DC-DC charger. It weighs 250 grams and costs NOK 750 (€75). This opens up some possibilities. What to do next? I have several possibilities. The plug'n play solution that I thought the Aviogard would serve, obviously does not work, which is simply incredibly irritating to say the least. 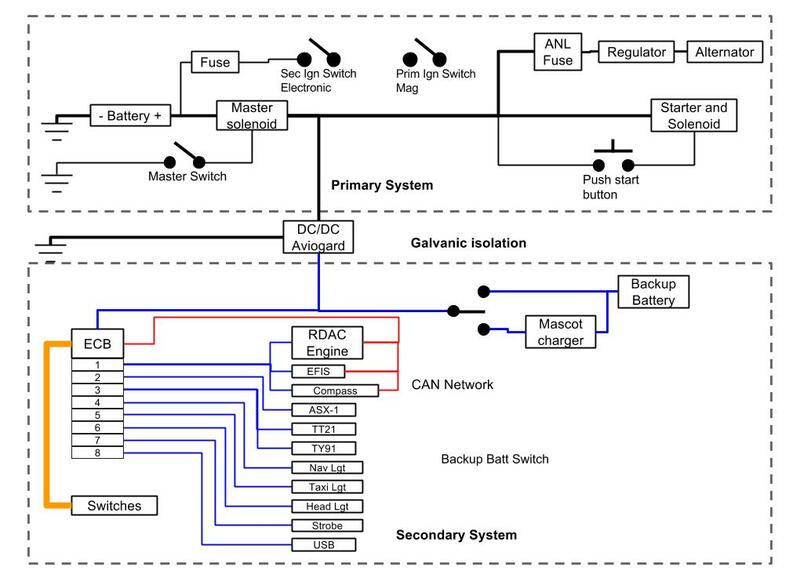 The default backup battery solution for the Aviogard is not a viable solution in an aircraft at all. Even though by trying real hard it can be made doable in some sense, it will cause more problems and grief than it solves in an everyday setting. Send the Aviogard back and use a manual backup battery solution. Just for the record. The Aviogard is a nice device IMO. 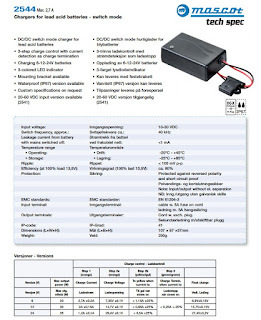 It uses a UQQ optically insulated DC-DC converter, which is a high quality, excellently documented device from what I can tell. MGL has packaged it nicely with ferrites and capacitors and a nice and practical IO block. Why it is not used according to it's specs is a mystery though, and why they are marketing it as a good battery backup solution is equally strange. Well. 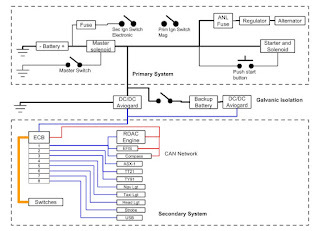 My plan for the whole electrical system was based on the Aviogard with a backup battery and the ECB and using all electric instruments. The main purpose was to get a very simple and nice solution with battery backup and optically isolated power, with emphasis on simple. It didn't really work out. Modifying the Aviogard so it adheres to the UQQ specs and installing a Mascot charger, seems to be one solution ATM. This means adjusting the Aviogard to 13.2V, and connecting the sense pins correctly. It also means fixing the PCB lid. 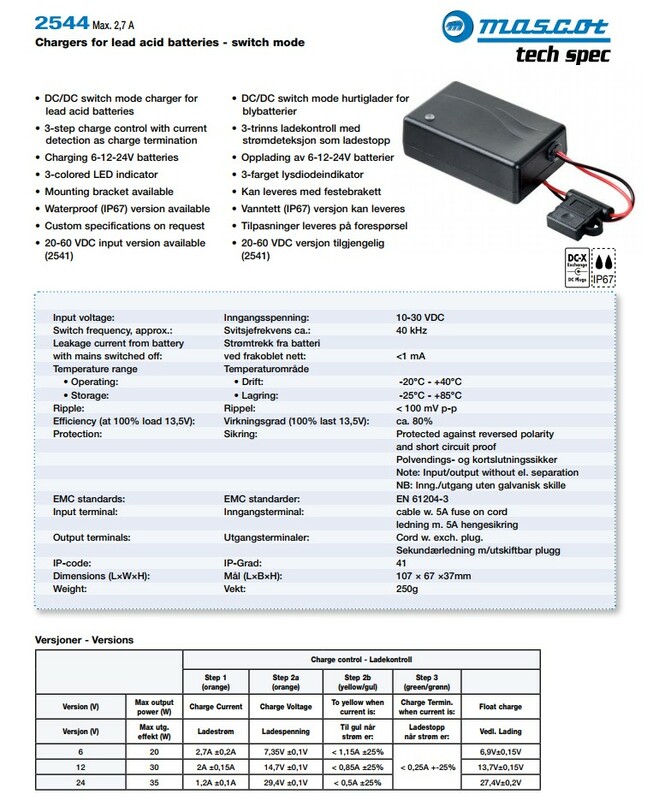 On the other hand, optically isolated DC-DC converters are used en mass in the automotive industry, so maybe I will just get one of those? At start up the switch will be in "off". Then turned to "charge" when the engine is running, and left there. When the Mascot shows a green light, it will be turned "on". That way I will be sure the UQQ does not enter a "hiccup mode", and the battery will be kept charged with 13.2V continuously. I guess this will work, but there are several other possibilities also. One is to use two "Aviogards" in parallell, where the second has it's own battery that can be switched out from the primary circuit. This will prevent the "Aviogards" from having to charge batteries. Instead of the switch, I could just have a Mascot charger, but by then there will be an awful lot of gadgets. I have to think about this a little, and also ask Reinier at MGL about this Aviogard that is broken.